Tokyo: The global hedge fund industry lost $100 billion (around Rs4.9 trillion) of assets in October, according to an estimate from Eurekahedge Pte Ltd, as firms including Sparx Group Co. Ltd and Man Group Plc. were hammered by redemptions. The biggest market losses since the Great Depression and investor withdrawals hurt the $1.7 trillion hedge funds industry that manages largely unregulated pools of capital. The index of global funds has lost 11% this year, set for the worst performance since 2000 when Eurekahedge began tracking the data. “This wave of redemption in the hedge fund industry is going to last for at least another six months," said Toyomi Kusano, president of Kusano Global Frontier, a hedge fund research firm in Tokyo. “There are some funds that halted withdrawals, but those funds would eventually have to defreeze, and that means another wave of redemptions." Earlier this week, Sparx Group Co., Asia’s biggest hedge fund manager with $8.5 billion in assets, posted a first-half loss on redemptions and falling stock prices. Its assets under management on a preliminary basis were 839.1 billion yen ($8.8 billion) as of 31 October, compared with a peak of 2 trillion yen in August 2006. 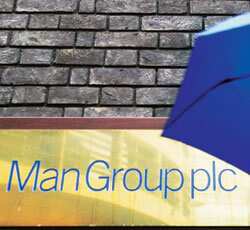 Man Group, the largest publicly traded hedge fund manager, reported assets under management, which stood at $70.3 billion as of 30 September, fell to $61 billion at the beginning of November, the least since March 2007. “As both hedge fund managers and fund of funds scramble to meet client redemptions, one thing is clear: the industry is going to shrink substantially over the coming months, perhaps as much as 50% in terms of both assets under management and number of funds," said Kostas Iordanidis, head of hedge funds at Geneva-based Unigestion Holding SA, which invests $3.2 billion in hedge funds worldwide. Assets in Singapore-based Tantallon Capital’s flagship Tantallon Fund shrank to $284 million at the end of October, according to Bloomberg data. The fund, managed by Nicholas Harbinson, a Tantallon co-founder and former Merrill Lynch and Co. Inc. head of sales, stood at $877 million at the end of August, from as much as $1.5 billion at the start of the year. Still, hedge funds have outperformed relative to the MSCI World Index that has lost 46% this year. In October, managers who trade futures, or CTAs, and those who invest in Japan helped offset declines, Eurekahedge said. In terms of regional mandates, the Eurekahedge Japan Hedge Fund Index was the best performer, declining 0.8% last month, even as the benchmark Topix index slid 20%, the firm said. The Eurekahedge Asian Hedge Fund Index lost 4.3%. Singapore-based Tantallon’s long-short fund, which seeks to profit from both gains and declines in stock prices, fell 28.6% this year through October. It was up 0.59% last month, Bloomberg data show. “Although we are seeing and we will see attrition among Asian funds, it is unlikely to be as bad as the more developed markets," said Peter Douglas, principal of Singapore-based hedge fund consulting firm GFIA Pte Ltd, citing the cost of running a hedge fund in the region. US hedge fund managers may lose 15% of assets to withdrawals by year-end while their European rivals shed as much as 25%, Huw van Steenis, a Morgan Stanley analyst in London, wrote last month in a report to clients. Combined with investment losses, industry assets may shrink to $1.3 trillion, a 32% drop from the peak in June. The Eurekahedge North American Hedge Fund Index fell 4%, the firm said, while the index tracking eastern Europe and Russia was the worst performer with a slide of 16%. The Eurekahedge European Hedge Fund Index slid 6.8%, while the measure tracking Latin American funds declined 4%, the data provider said. Millennium Global Investments Ltd, the $14 billion firm founded by former Goldman Sachs Group Inc. executive Michael Huttman, is planning to limit withdrawals from its $600 million high-yield bond hedge fund after investors asked to pull more than a quarter of their money. By strategy, CTA funds outperformed, with average gains of 6.2% as managers exploited directional trends in the commodity and currency markets, the firm said. Similar trades also helped boost the performance of so-called macro-fund managers, who wager on trends in stocks, bonds and currencies worldwide, Eurekahedge said. Among macro funds, Astmax Commodity Global Macro Fund, run by former Sumitomo Corp. copper trader Tetsu Emori, rose 2.6% last month. The 1.4 billion yen fund takes long and short positions in global commodity markets. The preliminary figures were based on 41.5% of the funds reporting their October returns as of 12 November, Eurekahedge said. For CTA managers, the performance figures were based on 60% of the funds reporting, it said. Netty Ismail in Singapore, Komaki Ito and Shigeru Sato in Tokyo, Tom Cahill in London, and Saijel Kishan and Katherine Burton in New York contributed to this story.